UPDATE: My daughter and I attended "The Future of LGBTQ Rights" presentation. We didn't learn anything new, but we did participate to help clarify the discussion around Trans vulnerabilities and also contributed by pointing out that ACA (Obamacare) is a critical resource for the LGBTIQ+ community. This tells me we are on top of the current issues. 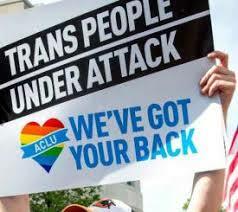 The ACLU has our backs, but they can't initiate court cases unless they have plaintiffs. This means they NEED stories from people being impacted. Spread the word...tell your story and contact the ACLU. 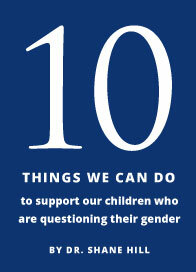 Today's world for TransFamilies presents challenges all round. But shutting down, turning off, and/or tuning out are not really options if we want a better future for our children. How do we sort through everything insisting on our attention and resources to discern where our input is needed most and would be most effective? The following presentation will attempt to answer that question. It's on my calendar. Hope to see you there. For those who can't make it, I'll do my best to report back to our families. Michelle Welsh, Esq – Local Attorney, board member of ACLU Northern CA and the Monterey County Chapter and Constitutional Law teacher at Monterey College of Law. With changes in the Bench of the Supreme Court and Trump’s Agenda, it is a wise advocate that knows where to focus time and energy. Michelle Welsh’s talk will help give us insight to which LGBTQ rights are stable, in play or needs our immediate advocacy and support.